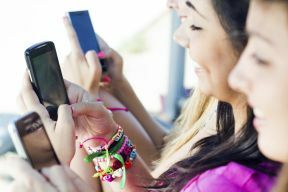 It’s hard enough growing up, but the advent of technology, whether it’s computers, laptops or mobile devices, has transformed the social dimension of the modern teen. Cyber bullying and online predators have gripped national headlines, forcing parents, teachers, and policy makers to zero in on what adults can do to protect their children from the dangers of virtual life. On March 8 and 9, the American Academy of Pediatrics will host the Healthy Children Conference + Expo at the Donald E. Stephens Convention Center in Rosemont, the first large scale event of its kind in Illinois. Parents and their children are encouraged to attend and participate, as a contingent of nationally-recognized health professionals will gather to discuss a wide range of health topics, including managing online safety and responsibility with teens. Dr. Don Shifrin is currently a clinical professor in the Department of Pediatrics at the University of Washington School of Medicine and completed his M.D. at Georgetown University’s School of Medicine in 1974. As pediatrician specializing in communications and media with adolescents, Dr. Shifrin decided to enter this difficult terrain because no matter what socioeconomic or cultural environment a teen thrives in, media on all levels has had an indelible impact on the pediatric population. According to the Pew Research Internet Project’s “Teens, Social Media and Privacy” report, 81 percent of teens use Facebook, while 24 percent of teens use Twitter in 2012. It’s a statistic that reflects the growth of the average teen’s comfort level with digital forums that coincides with an increase to what is shared online. More and more teens are posting pictures of themselves, and even personal contact information. Without monitoring a teen’s online use, they become exposed to unfiltered online advertising that can encourage potentially harmful behavior. Another challenge is teens falling prey to online taunts, which could eventually evolve to cyber bullying and comes in the form of spreading rumors about a teen on social media, posting embarrassing photos or videos, sending cruel text messages or creating fake profiles to degrade a teen. It’s a troubling problem teens face as news of cyber bullying instigating teen suicide has gripped national attention. Even those not pushed to this extreme edge can teens to use alcohol and drugs, skip school, lower self esteem and become ill. In 2011, The Center for Disease Control conducted the Youth Risk Behavior Surveillance Survey that reported that 16.2 percent of teens nationwide said that they had been bullied electronically and that percentage 18.0 percent of Hispanic females and 9.5 percent of Hispanic males said that they were bullied. So, what can parents do? Dr. Shifrin suggests a diplomatic approach to talking with teens about their online actions. The website www.stopbullying.gov also gives practical tips to prevent cyber bullying including installing parental filtering software onto their children’s laptops, and keeping track of the websites their children visit on a regular basis. It’s about balance, not absolutes for parents, Dr. Shifrin assures and be allowed to give yourself some peace. For more information on this weekend’s event, go to www.healthychildrenexpo.org. © 2979 Chicago Hispanic Newspaper, Lawndale News, Hispanic Bilingual Newspapers, Su Noticiero Bilingue. All rights reserved. XHTML / CSS Valid.